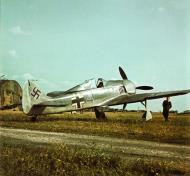 Fw-190A2 Blue 4 serving with Jagdfliegerschule 2 or 4. Both schools used their emblem the 'Hunter's Arrow' on red shield. 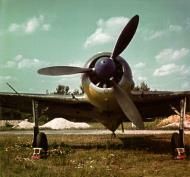 The aircraft number suggests that belonged to 4./JFS4 summer 1942.